A great SLG Mobile game about ancient China will be released soon. Begin you journey to the Three Kingdoms Era and become a great Emperor! The pre-registration of the upcoming brand-new sandbox SLG, Total Warfare-Epic Three Kingdoms, starts today. Henceforward, this game of visual masterpiece kicks off its journey to sweep the globe! If you are a fan of three kingdoms, we’ve got a huge surprise in store for you. This game forges a grand battlefield dominated by military strategy as well as the state-building gameplay. The incomparable scenes and the variety of vivid characters will display a whole magnificent imperial city to you. Total Warfare-Epic Three Kingdoms creates the innovative massive multiplayer nation battle. Millions of players are scattered in the grand sandbox world to battle in real time. Players can construct the city, build the army, forge an alliance, annex lands and expand territory anytime anywhere. In addition, the variety of resources like food, silver and iron mine are indispensable to satisfy the strategic needs of the players in drafting soldiers, enhancing army and building city. Enter the game, the reserved and delicate picture gives a full display of the majesty of the three-kingdom era in ancient China. High-quality building module, first-class art design, vivid characters…All of these elements enable you to enjoy the beautiful sceneries in and out of the city and overlook the whole country. The unique 3D visual effect makes you immerse into the vivid characters and scenes as if in a real ancient battlefield! Total Warfare-Epic Three Kingdoms is a grand-scale war strategy mobile game. It portrays a real ancient scene in realistic style and brings you an immersive battle experience in the chaos of the three kingdoms. The pre-registered players can get a gift worth $100. Come on and pre-register now! You can forestall to experience it quickly! Gamer Network is delighted to reveal the fantastic feedback received from its EGX Rezzed attendee survey, further solidifying its position as London’s premier games event. More than 15,000 enthusiastic gamers joined over 100 exhibitors at the historic Tobacco Dock in East London from the 7th-9th April to celebrate the best of gaming from around the world. With over 175 playable, pre-release games and experiences from the indie scene sitting alongside blockbuster AAA titles and cutting edge VR technology, EGX Rezzed was a thrilling preview of the year ahead in games. As part of the exit survey attendees were asked to vote for their favourite game from the event. Total War: Warhammer, the latest in Creative Assembly’s massively popular Total War series, emerged on top and has been crowned EGX Rezzed 2016 Game of the Show. With a large presence on the show, attendees were treated to the latest playable code over a month before the game’s release in May. John Clark, SVP Commercial Publishing of SEGA Europe said “EGX Rezzed is an incredibly valuable event for Sega to build lasting community awareness for all of our titles. The show plays such a crucial part in the build up to release day bringing the community closer to the fantastic game created by CA”. Dark Souls III took the runner-up spot, wowing attendees who were delighted to get hands-on with the infamously difficult RPG before its release in mid-April. PlayStation VR was a huge hit with visitors who had the opportunity to try the groundbreaking system way ahead of its worldwide launch in October. Overcooked! was the highest placed indie title on the list, the game’s fantastic four player co-op mayhem proving hugely popular with the EGX Rezzed crowd. Quantum Break, Remedy’s latest blockbuster, was the centrepiece of Xbox’s large show floor presence and placed fifth in the Game of the Show list. SEGA of America, Inc. and SEGA Europe, Ltd. announced a new title from UK videogame studio Creative Assembly; the first in partnership with Games Workshop, creators of the well-own Warhammer Fantasy Battle tabletop wargame and accompanying range of miniatures. Total War: WARHAMMER for PC, Mac and SteamOS, coming soon. Now in its 15th year, the award-winning Total War continues to offer a unique combination of huge-scale real-time battles and an addictive turn-based campaign game of statecraft, politics and empire building. Total War: WARHAMMER will take the series to a realm of grand high fantasy for the very first time in its history. Our rules have changed, and with change comes war on a scale as yet unimagined. The limitlessly deep and rich universe of Warhammer heralds a new era for Total War. Gigantic monsters, flying creatures, legendary heroes and storms of magical power take their place on the battlefield, alongside thousands of warriors clashing in real-time tactical battles. In the turn-based campaign game, players will find the Old World an unforgiving and treacherous place, filled with endless war and cunning alliances alike. Whichever race you choose to play as and however you seek conquest, you will be faced with a conflict that threatens to tear the very fabric of reality asunder. The first in an epic trilogy of titles, Total War: WARHAMMER will deliver hundreds of hours of absorbing gameplay. It will combine with two further standalone instalments and additional content packs to create the single largest Total War experience ever. Watch the announcement trailer, voiced by celebrated actor Steven Berkoff, for just a taste of this forthcoming match made in gaming heaven. UK studio Creative Assembly is hosting a game jam this weekend in honour of Simon Franco, a member of the team that passed away earlier this year. Franco was a senior programmer on Alien Isolation, and worked on multiple Total War games during his 10 years at the Surrey studio. 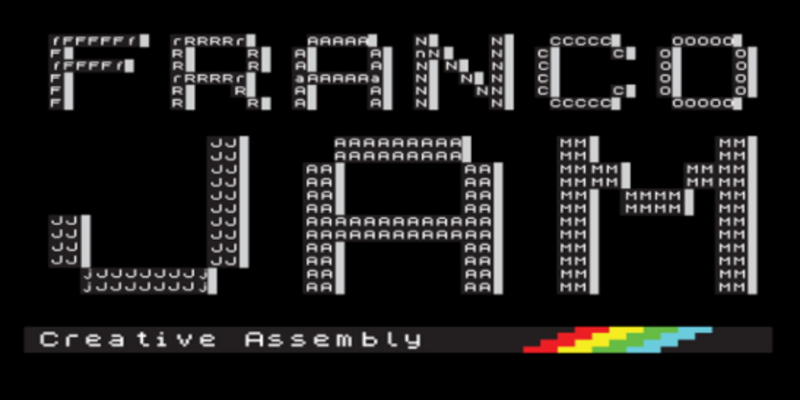 This weekend, small teams of Creative Assembly staff will compete to create a whole game in two days, with proceeds raised and donations going to Royal Surrey County Hospital, which cared for Franco. The judges panel for the contest will consist of Franco’s friends and family, plus Sprungdigi ambassador Darius. A live stream will run throughout the event, which will also include a charity auction of Steam keys and signed goodies from Creative Assembly’s various games. “Simon Franco was a dear friend and colleague to many here at CA,” the studio wrote on its blog. 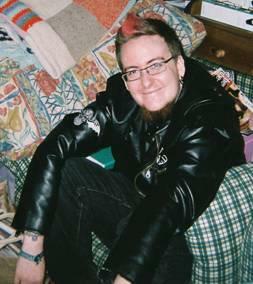 “Simon was a big Magic the Gathering enthusiast, with a passion for creating retro games in his spare time, as well as being a dedicated father who sadly didn’t get to meet his youngest daughter before he passed. He was positive, kind and always had a time for anyone that asked for it. Creative Assembly is also inviting people to donate to their cause by clicking here. The Train2Game team has searched around and found some of the exciting news from this week. 343 Industries, who recently released Halo 4, have said that they are in early stages of developing a new Halo. Frank O’Connor, the franchise development director for Halo, said that “a lot of people at 343 are already prototyping ideas and software and art for future Halo products”. Many within the 343 Industries studio are still working on post launch content for Halo 4. Sony Pictures Consumer Products has teamed up with Capcom-owned developer Beeline Interactive to produce an Android and iOS Ghostbusters game, targeting an ‘early 2013’ release. The new Ghostbusters will be a ‘freemium’ title based on the popular eighties movies. The players will play the role of “a fledgling Ghostbuster. Who ya gunna call? UK celebrity, chat show host and film critic Jonathan Ross has opened a new game development studio named Hotsauce Interactive, based in Candem, North London. The outfit is part of Ross’ TV production company Hotsauce, and has already released its debut game, Cacha Cacha Aliens for iOS. It is understood that Hotsauce Interactive is staffed by a number of experienced developers and the studio may look into releasing games on hand-held and console in the future. Customers of Valve’s Steam digital distribution service can now play their PC games on a TV. The much anticipated Big Picture mode has been in beta for some time, but has only now seen public release. Big Picture is designed to be compatible with gamepads, but also supports the use of a Mouse and Keyboard. To celebrate, Valve has placed over thirty “controller-friendly” games on sale. Call of Duty: Black Ops 2 made $1 billion a day quicker than Modern Warfare 3, Activision has announced. That’s $1 billion in worldwide retail sales in 15 days since launch, based on Chart-Track and internal figures. Modern Warfare 3 took 16 days to cross the $1 billion mark. For comparison, James Cameron’s Avatar made $1 billion in 17 days. Since launch, more than 150 million hours have been logged online playing the game on Xbox Live and PlayStation Network. Kickstarter’s United Kingdom operation has reached £2,069,164 in pledges since its launch late in October. 45,799 backers contributed to the £2 million, with 30 projects having successfully ended their funding drive out of 407 launched. Of those backers, 39 percent came from the UK. Game designers should play board games in to help improve their skills. That’s the view of The Creative Assembly lead designer James Russell, who was speaking about making the mechanics of Total War and game design at Develop Conference 2012. It formed part of a wide ranging session in which the Total War lead designer discussed subjects ranging from the key game design pillars of Shogun 2: Total War, to how, ultimately every single video game is based around player choices. “Gameplay is all about choices and trade-offs. Games present players with interesting decisions with pros and cons.” said Russell, adding that weak gameplay is generally down to weak design choices. The session concluded with The Creative Assembly man showing off pre-Alpha footage of Rome 2: Total War for only the second time. The game is scheduled for release towards the end of 2013. Keep reading The Train2Game Blog for the latest news from Develop Conference, while there’s more from The Creative Assembly here. That includes information about their recently released Shogun 2 map editor. How important do you feel board games are for game designers? Are you a board game player? Total War studio The Creative Assembly will be hosting a developer session at PC and indie games show Rezzed, which is sure to be of interest to anyone on a Train2Game course. The presentation will celebrate the studio’s 25 year history and will feature an exclusive first look at the future of Total War. “This year, The Creative Assembly is celebrating a quarter of a century making games,” said Total War lead designer James Russell. The Creative Assembly recently released a free map editor for Shogun 2: Total War. Rezzed takes place in Brighton on Friday 6th and Saturday 7th July with day the price of day tickets £12, or £20 for both days. There’s more information here. Other games available to see at Rezzed include Aliens: Colonial Marines, Borderlands 2, XCOM: Enemy Unknown and more, in addition to a number of developer sessions. Keep reading The Train2Game Blog for the latest updates about Rezzed, while there’s more from The Creative Assembly here. Will you be attending Rezzed? If so, what are you most looking forward to? Get behind the scenes of Total War Battles: Shogun, the mobile adaptation of the PC strategy series in a developer diary from The Creative Assembly and SEGA. For example, the UI needs to be adjusted for a touchscreen, while the art needs to be bright and easily recognisable to distinguish between different types of unit. 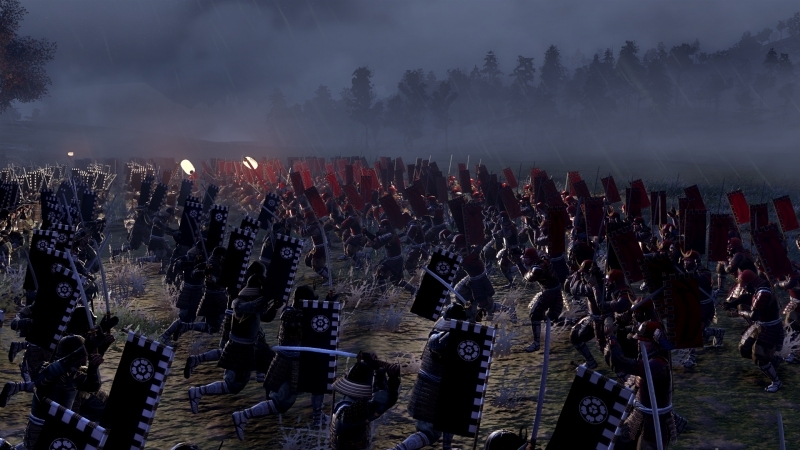 Watch the Total War Battles: Shogun developer diary below, right here on The Train2Game Blog. Total War Battles: Shogun is available now for iOS and is coming soon for Android. There’s more on Creative Assembly and their Total War titles here on The Train2Game Blog. What are your thoughts on bringing Total War to mobile? Can it capture the tactical gameplay of the PC titles? Train2Game students can now buy tickets for Rezzed, the new PC and indie games expo that’s hitting Brighton in July. The event by Eurogamer.net and Rock, Paper, Shotgun will offer gamers their first chance to go hands-on with many upcoming PC games including Aliens: Colonial Marines from Gearbox Software. You’ll also be able to discover new indie titles in The Leftfield Collection, sponsored by SEGA. Developers including Total War producers Creative Assembly and Project Zomboid creators The Indie Stone will also be on hand to show their work to the public and take questions in Developer Sessions, which are sure to be of interest to Train2Game students. “Following last year’s hugely successful fourth Eurogamer Expo, we’re broadening our horizons for 2012 by introducing a new summer event to highlight the best of PC and indie games,” said Rupert Loman, Managing Director of organiser Eurogamer Network Ltd.
More games, speakers and activities will be announced in the run up to the show, with more information available on the official Rezzed website. Keep reading The Train2Game Blog for more news about Rezzed. Will you be attending the Brighton event? SEGA has released a brand new trailer for Shogun 2: Total War. The new Story Trailer shows the background behind the battles that’ll take place during Shogun 2: Total War. The narrator tells us that 15th century was a ‘Dark time in Japanese history’ with the fall of the Shogun that ruled all of Japan leading to ten legendary warlords doing battle to follow in his footsteps. Of course, only one man can become the Shogun of Japan, and Shogun 2: Total War places you in the Samurai Armour of a Warlord with this goal. You can see the beautifully crafted Shogun 2: Total War trailer curtsey of IGN below. Shogun 2: Total War doesn’t have a release date yet, but it’ll come sometime during 2011. Shogun 2: Total War creator Mike Simpson told the audience at the games’ Eurogamer Developer Session that it’ll only be released when it’s suitability playable. You can read everything that Simpson had to say about Shogun 2: Total War in the Train2Game write up of the games’ Eurogamer developer session. Alternatively, if you have a spare 43 minutes on your hands, you can watch the whole Shogun 2: Total War Developer Session on the Eurogamer website. So Train2Game, what are your thoughts on the Shogun 2: Total War Story Mode trailer? Is Shogun 2: Total War a game you’re looking forward to? And are you impressed by the unique art style that features in the Shogun 2: Total War Story Trailer? You can leave your thoughts about Shogun 2: Total War here on the Train2Game blog, or on the Train2Game forum.